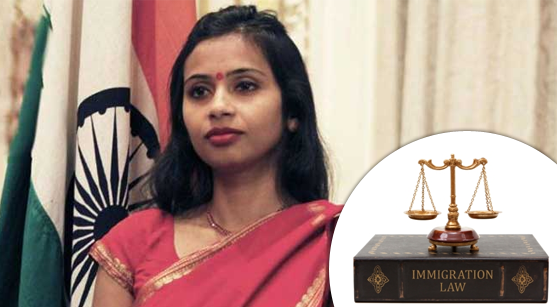 Recently the whole world took notice as Indian Foreign Service Officer Devyani Khobragade was arrested in the US for diplomatic reasons. Luckily for her, being IFS personnel, the best of the immigration advocates helped her through the situation. Also, the foreign relations involved were taken very seriously by both the governments. That perhaps will never be the case with us, normal citizens. We need to travel abroad for various reasons. Especially, in the globalised economy, we never know where we’ll need to move. Under these circumstances, having an Immigration advocate is essential for your wellbeing in the foreign lands. Each country has different laws for immigrants. And keeping a tab on all those legal matters are impossible for a person without any professional law degree.Did you know that in November 2014, the US has brought some serious changes in the immigration act? Senior advocates in Chandigarh high court specialising in the immigration laws will help you abide by the latest rules as you travel abroad anywhere. While some of us travel for profession, a large number of people travel for fun. Whatever be the case, knowing specific rules and laws of the land not only helps the immigrants, it may also bring a huge positive impact. In many cases, it so happens that the newly wed wife accompanies her husband to the foreign. The husband having been living in the foreign land has a work permit already. Depending upon the educational background of the woman, high court lawyers in Chandigarh with specialisation in immigration laws can figure out how the lady can work and help her husband run the family. Work permits can be highly sensitive issues, and they generally accompany a number of legal specifications regarding education, wages and visa matters. Without professional legal help, these matters can lead to deportation or even jail sentences. Again, many people travel to foreign places for medical and educational reasons. As both the reasons can lead to unforeseeable delay or circumstances, visa-related matters can get complicated. As having to leave without completing a degree or a serious treatment can really be a possibility, relying on the best high court lawyers in Chandigarh is always a good idea. Marrying a person from another country is becoming a common event these days. As two different nationalities are involved, knowing the legally right thing to do can help save you a lot of troubles. Consulting with the best lawyers in Chandigarh, Punjab before taking any action should be a legally sound decision. Again, issues with visa and work permit are also to be discussed in detail. Every sovereign country, republic or otherwise has a definite set of laws regarding child support and custody. Who can take care of a child and what counts as child support are highly debated issues as no two country has similar laws. Senior lawyers in Chandigarh high court can show the right direction regarding these issues. Your immigration advocate will be your legal guide just as you take a tour guide in the foreign land.